Wavy Ponytail Extension for Short Human Hair in Hyde Park Boston – Book Online! 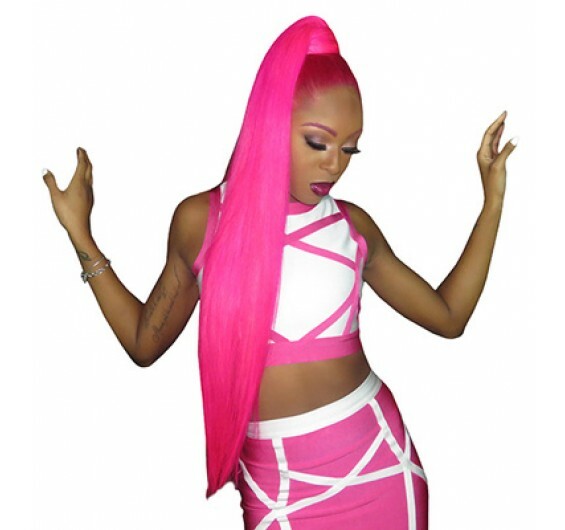 Intriguing Hair selling high quality Weave Pony Tail wig extensions, hairstylists, celebrity hair extensions online at affordable price. Free Next Day Shipping. Shop Now! Hair extensions are wrapped around clients own natural ponytail. Hair can be pinned or sewed. Client can choose bangs. Hair extensions will be silk pressed to perfection. This is for the service only. This does not include the hair. Hair extensions from the beauty supply is recommended and will give you the same exact look when using virgin hair. This is a short term hairstyle, usually requested for a special occasion. Add high style to your hair by booking an appointment for straight or wavy ponytail extensions at Intriguing Hair for your next special event. When it comes to ponytail extensions for short hair, our salon’s professional stylists will give you the hair of your dreams. Adding ponytail extension human hair is a great way to add density and thickness to your natural ponytail. The result is a voluminous ponytail that can be styled into an updo whether it be for a wedding, birthday, or other important event on your calendar. The ponytail weave install is a popular choice among women who prefer to style their hair in an undo for formal occasions. It is a short-term hair style usually worn for special events. Your ponytail hair extensions will be silk pressed to perfection. This service is for adding weave to your ponytail. Ponytail hair extensions are wrapped around your natural ponytail. Hair can be pinned or sewed. Bangs are also possible with this style. Hair extensions from the beauty supply store are recommended, or you may shop Intriguing Hair’s line of high-quality 100% virgin hair. This is a short-term hairstyle that is generally worn for special occasions. Clients must come to the salon with hair pre-washed and free of any hair products.